Do you ever have one of those “why didn’t I think of that” moments? It took me a long time to convince my hubby that camping can be fun … I would ask to go camping … he would answer NO! His excuse was that he did enough camping while he served in the Army. I finally convinced him that my idea of camping is nothing like what he experienced … it’s close to glamping and I do believe in restrooms with showers! Line a tray with wax paper or parchment. 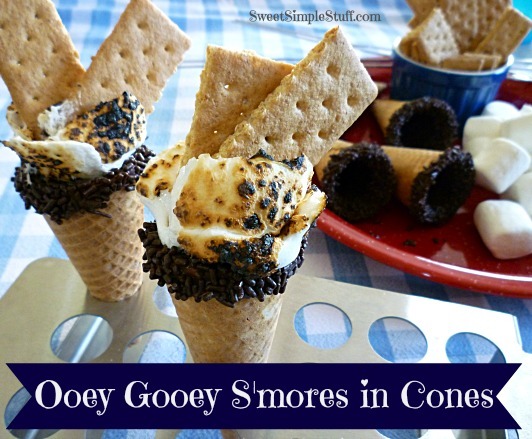 Fill an ice cream cone with melted chocolate or candy coating … use milk chocolate or dark, which ever you prefer. 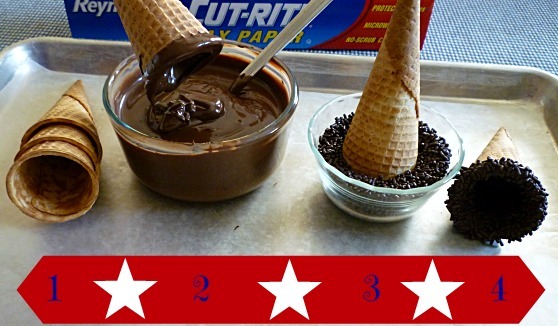 Pour the melted chocolate out of the cone … shake or tap cone to help chocolate out. You can make the chocolate layer as thin or as thick as you like. 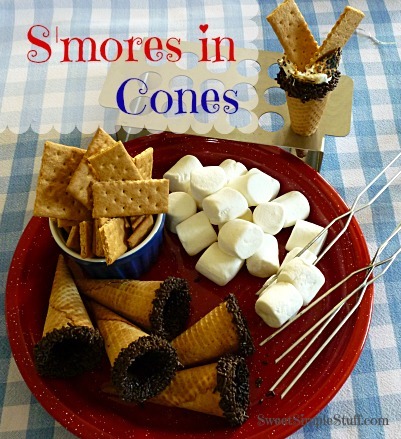 Dip the edge of cone in sprinkles. Lay on wax paper and chill for a few minutes. Store in an airtight container until ready to use! 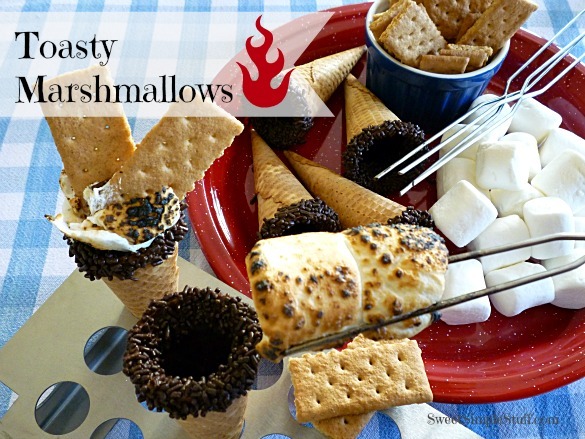 I use 2 marshmallows per cone … Son #3 says to use 3 marshmallows! 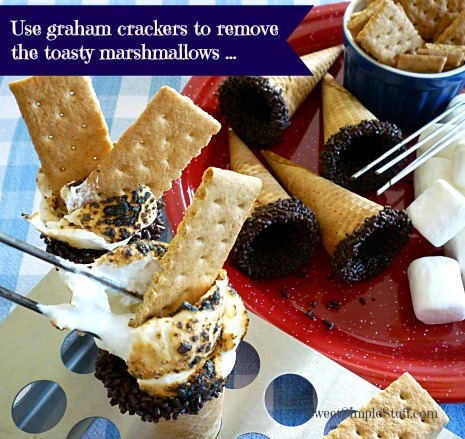 How many marshmallows do you use for your S’mores ?